Originated in USA, in 1992, Stretch-n-Grow has expanded to over 1,000 cities across the world. After an intense study and the discovery of alarming statistics concerning the health status of our young children, the founders of Stretch-n-Grow set out on their mission to change the course for children everywhere. Now millions of Stretch-n-Grow “Stars” around the world are learning to enjoy a healthy lifestyle while building a foundation of fitness and well-being! 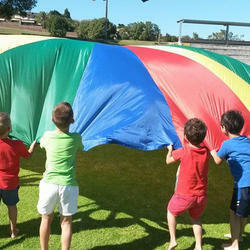 Stretch-n-Grow offers several EXERciting programmes for kids starting as young as 18 months up to twelve years old. Each Stretch-n-Grow coach is a certified youth fitness specialist and has only one passion – to show our Stars an EXERciting time! • Key focus on wellness issues such as nutrition, safety, proper rest, self-esteem and hygiene, emphasised weekly. • Something new and different each week. • Adventure themed classes where every child is the focus – no waiting in line. • EXERciting games and activities promote healthy eating, proper rest and hygiene. • Motor skill development, coordination, ball skills, rhythm, balance and so much more. Our action-packed Fitness Boot Camp classes are specifically designed to get 6-10 year-olds moving, using energizing music that kids know and love along with fitness equipment and amazing props to add variety and challenge to every class! 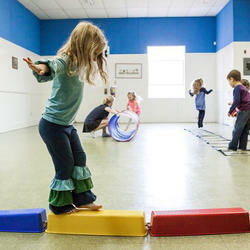 Stretch-n-Grow offers year-round sports classes at your child’s school for ages 3+. Our All Star Sports programme incorporates the fundamentals of each sport, along with new skills, drills, sequences and exciting games, all designed to encourage and develop healthy, sport and fitness-focused children. • Classes held in the school environment, as well as privately. • Contact us for more information on franchise opportunities, birthday parties, holiday programmes and loads more!